Watch full Naruto Shippuden Season 18 Episode 11 English Dubbed full HD online. 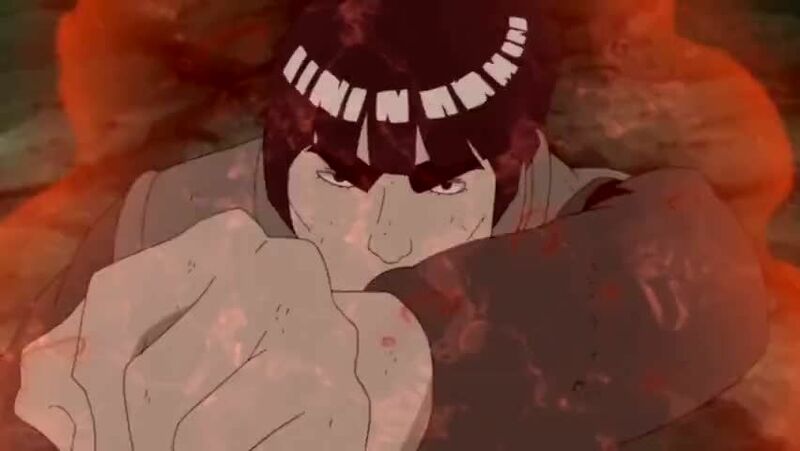 Naruto Shippuden Episode 383 English Dubbed online for free in HD. As the five Kage arrive to the battlefield, they note that this is no battle to be lost. Meanwhile, Naruto and Sasuke clash against Obito. As Sakura continues to heal Shikamaru, his treatment progresses little but Sakura promises not to let him die. Just then, Naruto’s Version 1 cloak encases Shikamaru which Ino notes was being done subconsciously as an extension of Naruto’s will. Shikamaru finally regains some strength and Tsunade arrives completely healing Shikamaru while praising Sakura that she has done well. After speaking briefly with her grandfather, Tsunade and the other Kage rally all the troops around them. Elsewhere in Kamui’s dimension, Kakashi is almost ready to return to the battlefield once more. The Alliance then move out to destroy the Ten-Tails’ tree form. Responding to his sensei’s question, Orochimaru decides to take part as well and proceeds to attack the Ten-Tails with his snakes while Hiruzen destroys one of its branches with Enma’s staff form. Tsunade and Sakura attempt to summon one tenth of Katsuyu to aid in the recovery of the Alliance by using their seals together. Naruto and Sasuke continue their clash with Obito who easily evades all of their attacks. Noting it’s time for them to sleep, Obito grabs the duo using chakra arms. Naruto and Sasuke are forced out of their Sage Tailed Beast Mode and Susanoo completely. As Obito demands to know why Naruto still fights, he proudly states that never going back on his word is his nindÅ. Naruto declares that he will sleep tomorrow and dream on his own as Sasuke’s Susanoo encases Naruto’s Tailed Beast Mode. Elsewhere in Kamui’s dimension, while realizing that Obito still possesses his Will of Fire despite his hatred, Kakashi prepares to return to their reality.